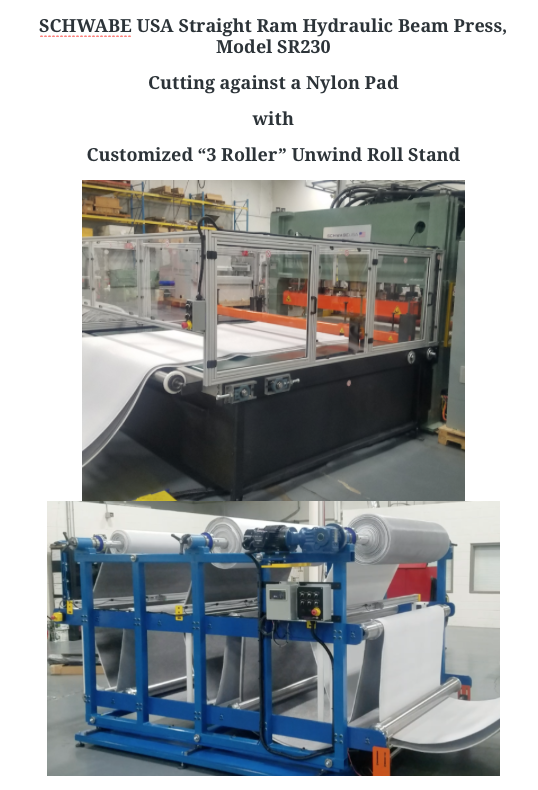 We manufacture die cutting presses and cutting systems to the major global manufacturers in the Flooring Industry. SCHWABE SR 300 Cutting Automotive Car Floor Mats. ​Featuring Chiorino Urethane Belt and Convenient OutFeed “Swing-Up” Guard for Easy Die Change. 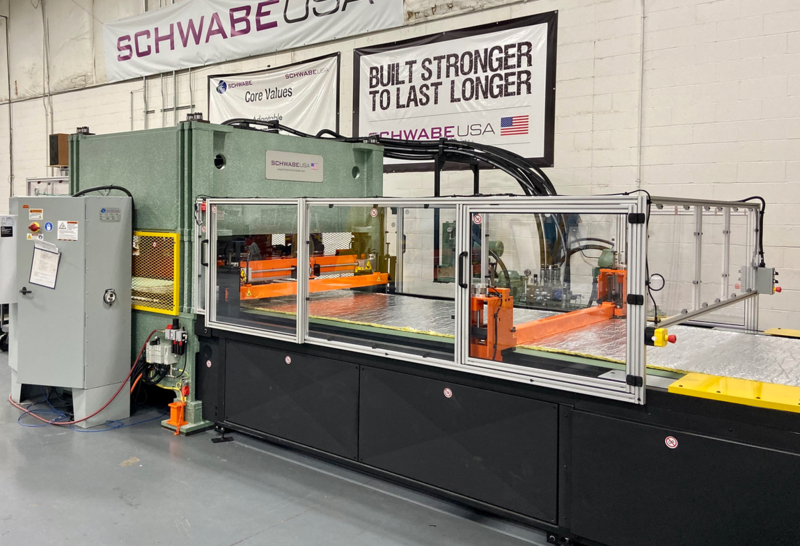 SCHWABE Model DG Beam Press is ideally suited to cut vacuum formed plastics, blister / skin packaging, rubber and other sheeted products. With 250 die memory software as standard, setting up for a new job is very fast and simple.